For a certain group of Israelis in the 1960s and ‘70s, Tehran, Iran was a utopia. Enjoying close relations with the Shah’s regime, their paradise was built on construction contracts, weapons sales, and oil. 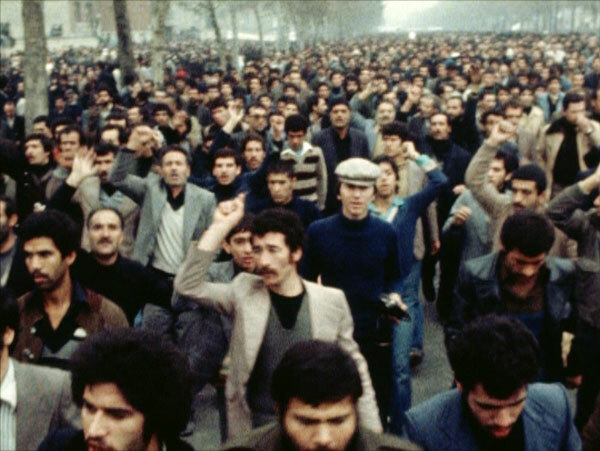 Then the Iranian Revolution arrived. 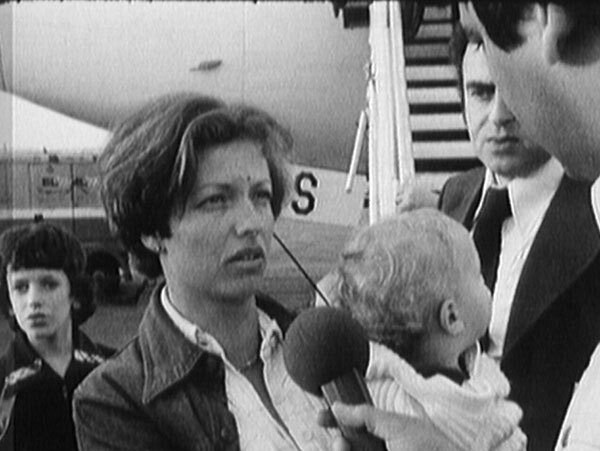 In what begins as a nostalgic quest to understand his family’s glory days, Dan Shadur’s tale becomes a thrilling documentary filled with rare home footage and interviews revealing a new perspective on the 1979 overthrow. Before the Revolution reminds us that memory can be deceptive and, in a world of constantly shifting political dynamics, often manipulated. Please describe Before the Revolution in your own words. Dan Shadur: Before the Revolution is a political thriller doc with a personal touch. Tracing back the first year of my life and my parents’ life in Tehran, I set out to tell the story of the large community of Israelis living in the city on the eve of the 1979 revolution, enjoying close relations with the corrupt and dismantling regime of the Shah. Through intimate interviews with family friends, diplomats and former Mossad agents, and the use of rare 8 and 16 mm film, the film portrays an unknown story of a community caught in a big political turmoil that will change our lives forever. As for my family – it is a story of happy times that will never return. DS: Our family photo albums from Iran always intrigued me, and as the image of Iran for Israelis became more and more distant and intimidating, the contrast with the utopian images of my childhood became more and more fascinating for me. My mother told me very little about those days, and not necessarily the whole truth. Through the early stages of research, I realized this story has so much of what turns me on artistically, personally and politically, and I just couldn’t let go. How have audiences reacted to the film so far? Is there a particular screening that sticks with you? DS: It’s been wonderful so far. In Israel the film has already been running for a few months in small theatres, with great press and reviews, and it seems like the audience appreciates what we wanted to show and say. Just as exciting were the reactions of exiled Iranians who saw the film at our world premiere in Toronto a few months back; they were extremely moved to see a an outsider filmmaker that is respectful and honest to their history, who doesn’t just plainly describe them as an angry mob. It seems like the film manages to cross boundaries and stay with the audience after they leave the theatre, which is the greatest compliment for any film, and the most I could ask for. DS: I want them to feel they learnt something they didn’t know. I want them to enjoy the film, and at the same time, question the deceptive aspect of film and nostalgia, and the way we interoperate history to suit our own needs. I want them to be moved, and I want them to contemplate the fragility of our existence in the privileged world, when the benefits of our lifestyle often come at the expense of someone else’s misery. DS: Well, it’s my first feature and I’m not used to giving advice yet… I guess it’s all about passion, having something to say, and hard work. The rest just sorts itself out. DS: Though Before The Revolution is told from an Israeli point of view, the story of the Iranian revolution is deeply rooted in American history, and I’m really curious to see how the audience here will react to it, because it’s almost our US premiere. There was a film showing here last year that was also taking place during the Iranian revolution, and it went on to do quite well afterwards… So we have high hopes! But even if we don’t win the Oscar this year, I’ve heard so many great things about HIFF that I know it’s going to be great. Like Before the Revolution on Facebook. Learn more about Before the Revolution. 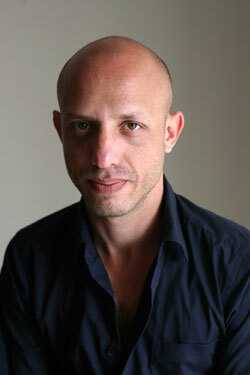 A graduate of the Film and Television Department in Tel Aviv University, Dan Shadur was a writer and editor in some of the main newspapers in Israel, before shifting into film and TV production. Shadur was the founder and chief editor of the cultural section of Globes, Israel’s leading financial newspaper, and founder of Shadurian Publisher’s, a publishing house for cutting edge literature from Israeli and international writers. In the last couple of years he made a few shorts, video clips, and various works for TV, including a 30 minutes fiction film Sunburn.